The new Motorola X has gained everyone’s attention once again for there have been new image leaks. This time, the specs were also released with the photos. 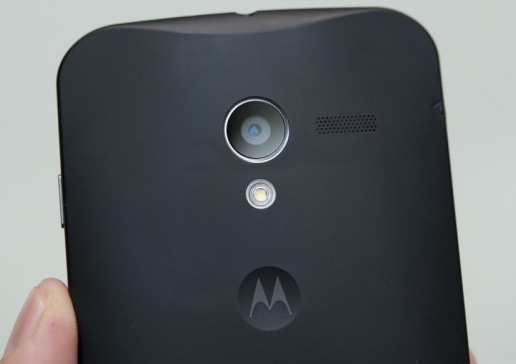 And one major thing revealed is the camera that will be featuring in the new Motorola X. Previously we have seen that in all rumors, we were not sure about the camera of the new Motorola X.
Motorola X is going to be announced just two days from now but the leaks have been speeding up. As previously leaked, the protection details, the alleged specifications and the looks are already covered. However, today, the specifications for the camera of Motorola X were revealed. According to Taylor Wimberly who is the former editor for Android and Me, the Motorola X is going to feature a 10MP Clear Pixel camera. The camera has pixel size of about 1.4 microns. The 1.5 microns means that the pixels in the camera will be larger than those on the Galaxy S4 sensor which are 1.1µm, but smaller than HTC One’s which is 2µm. The bigger pixels should go a long way towards improving the low-light performance and especially when combined with Clear Pixel technology. According to the leaks, the Motorola Moto X camera is said to capture a recording of 1080p videos at 60 frames per second which is a first for a smartphone to capture a video at this rate. Obviously Google has got something way cooler for the Motorola X series that will surely differ from their Nexus line of series. The camcorder will use pixel binning and combining information from 4 pixels; it reduces noise and provides clearer videos. Motorola X is going to pack three microphones and it will allow the capability of recording 3D audio. We already know that the leaked camera samples are not of good quality. But the good news is that when even the leaked pictures are not as good as it could be but it is said that the shots taken from the Motorola X will be better than those taken from a Galaxy S4. As mentioned above, the Motorola X will be released two days from now on so stay tuned.